For many immigrants, Edmonton offers an opportunity to achieve the dreams they have for themselves and their families. In 2018, new Canadians continue to add their mark to the city’s landscape and food scene. Whether you’re looking for an ingredient for your recipe or enjoying an evening out, these businesses offer tastes of their cultures in local settings. Tapestry rugs, plants and red brick walls create an atmosphere of warmth at Indian Fusion, The Curry House. 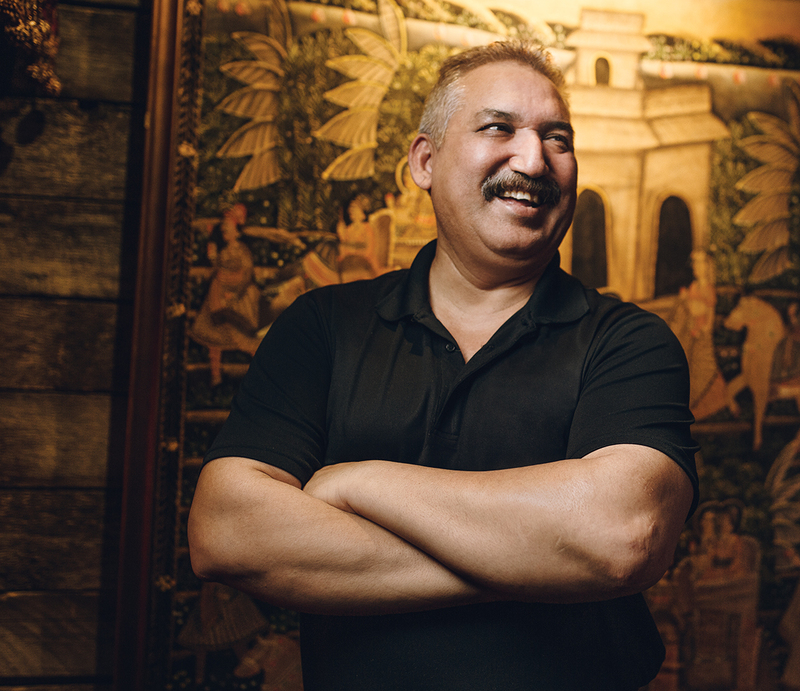 Parkash Chhibber, who immigrated to Canada from New Delhi in 2005, became the Oliver restaurant’s sole owner in 2014. While “fusion” is in its name, the restaurant doesn’t serve fusion-based cuisine. Rather, it’s a nod to the Fijian friends who helped Chhibber open the restaurant in 2009. Guests can dine on Indian, Fijian and wild-game dishes. Each dish is cooked from scratch, accommodating those with food allergies. The vegetarian dishes can be converted to vegan, and the restaurant uses a clay oven, allowing a healthy alternative to traditionally deep-fried foods. Guests can also choose from five different oils for their meals: Clarified butter, coconut, mustard, canola and olive. Trained as a chef, Chhibber suffered serious injuries in 1992 when he was struck by a car. Unemployed and newly wed, he credits his community for their part in his recovery. “They fed us, they helped us,” says Chhibber. The kindness of his Delhi neighbours left its mark. In 2014, after Chhibber saw a homeless man searching through the restaurant’s garbage bins, he and his staff began giving away meals. All someone has to do is knock on the back door and that person will receive a box of food and coffee in donated travel mugs. Every Wednesday, with help from the volunteers of The Line of Hope, Chhibber brings food to the Hope Mission, along with groceries and clothing. He estimates the restaurant donates 2,500 meals each month. When Emad Al Qitta and his family stepped onto Edmonton soil in 2016, he thought, “I won’t last more than a month. It’s too cold!” Along with bitter temperatures, the Syrian family had to adjust to a faster lifestyle, new jobs and schools, on top of learning a new language. Al Qitta, who had owned a nut store back home, was determined to make a life for his family. He studied English at school and worked at a bar so he could work on speaking the language. 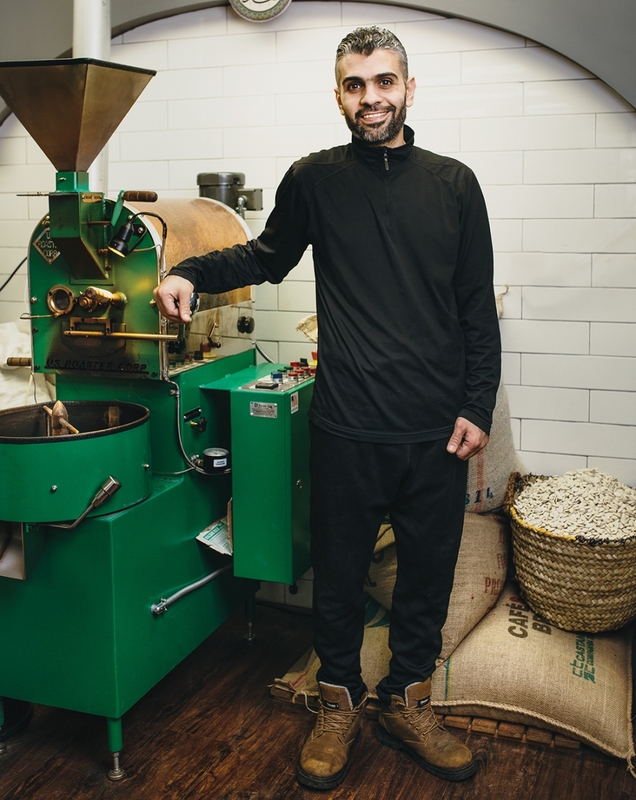 In 2018, he opened Al Qitta Nuts in the neighbourhood of Dunluce. “My friends helped me with the store’s website, business cards, and the business requirements,” Al Qitta says. The store is best known for its roasted nuts — among them walnuts, cashews and almonds. Patrons are welcome to browse the selection while sampling the store’s coffee, which is roasted daily. Al Qitta Nuts also stocks Syrian cheese, yogurt and Arabic ice cream, a light, creamy, vanilla blend with chopped pistachios. Variety seems to be the foundation of the store, which the brothers opened in 2009. 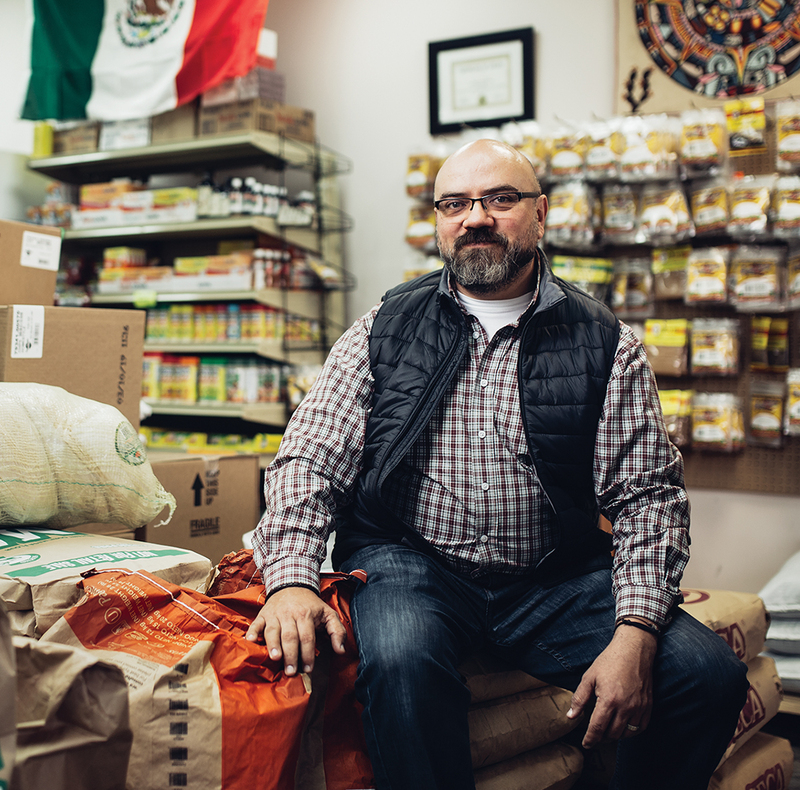 Whether it’s the seven brands of corn tortillas, the eight kinds of flour tortillas, the cacti in the box or the pickled cacti in the jars, La Tienda Latina is about service. It’s no surprise, then, that 12 restaurants in the city buy from it, or that 40 per cent of its customer base is non-Latin. From tamarind-flavoured sodas, annatto seeds, buñuelos or conchas, the store carries a wide variety of food from Venezuela, Mexico, Colombia, El Salvador, Brazil, Peru and Argentina. Haus Falkenstein, owned by German immigrants Silke and Micha Hentschel, began with a chance email with a Canadian friend. In his message, chef Micha joked, “If you have a job in Canada…” The friend replied that there was a job, running a hotel in Lougheed, Alberta. Along with the schnitzel variety, which holds the Guinness World Record for the largest variety of fresh pan-fried schnitzel, there are 23 German beers, homemade croquettes, and the 40-year-old red currywurst recipe from Micha’s mother. “We don’t serve frozen meat, only fresh,” says Silke.